The Ravenglass and Eskdale Railway is a 15 in (381 mm) minimum gauge heritage railway in Cumbria, England. The 7 miles (11.3 km) line runs from Ravenglass to Dalegarth Station near Boot in the valley of Eskdale, in the Lake District. At Ravenglass the line ends at Ravenglass railway station on the Cumbrian Coast Line. Intermediate stations and halts are at Muncaster Mill, Miteside, Murthwaite, Irton Road, The Green, Fisherground and Beckfoot. 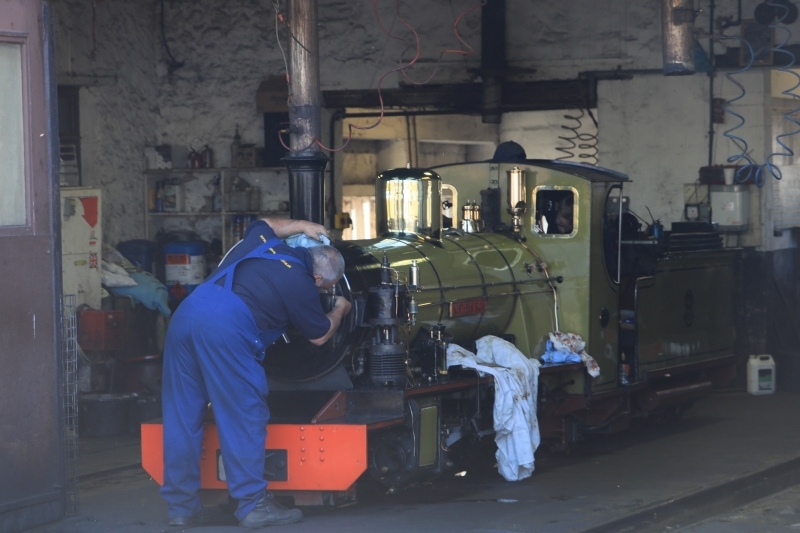 The railway is owned by a private company and supported by a preservation society. The oldest locomotive is River Irt, parts of which date from 1894, while the newest is the diesel-hydraulic Douglas Ferreira, built in 2005. The line is known locally as La'al Ratty and its 3 ft (914 mm) gauge predecessor as Owd Ratty. Nearby attractions include: the Roman Bath House at Ravenglass; the Hardknott Roman Fort, known to the Romans as Mediobogdum, at the foot of Hardknott Pass; the watermills at Boot and Muncaster; and Muncaster Castle, the home of the Pennington family since 1208. Please give us your overall rating for Ravenglass & Eskdale Railway.